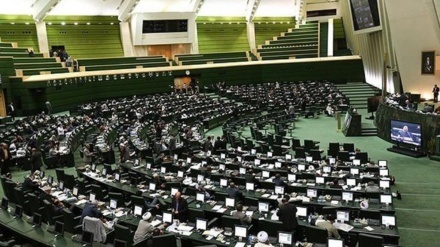 An Iranian MP, Mohammad Reza Tabesh, has said the enemies and ill-wishers want to divide Iranian people and government. 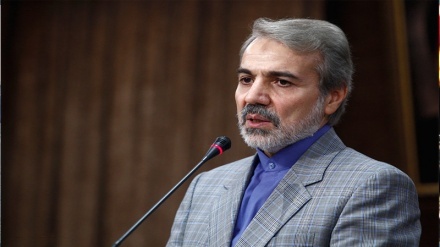 Iran Press/Iran news: In an exclusive interview with Iran Press on Tuesday, a member of Planning and Budget Commission of the Iranian parliament, Mohammad Reza Tabesh, has said: "Malicious people and enemies of the Islamic Republic of Iran have focused all their efforts on creating differences and divisions between the Iranian government and people." Reacting to earlier hostile remarks by US secretary of state Mike Pompeo, Tabesh said: "The ill-wishers and the enemies of the Islamic republic want to disappoint the Iranian people and dash their hopes, pursuing their own nefarious goals. Iranian officials, on the other hand, even if they make critical remarks, they are sympathetic and they want to assist the country in its progress and march forward." Mohammad Reza Tabesh added: "Now we are celebrating 40 years of the Islamic Revolution, and the Islamic Republic has reached maturity. The highest officials of the Islamic Republic, discuss with the people troubles and difficulties faced by the nation, and together they seek a collective solution with the help of the people. This signals unity between senior officials and the people, and is very valuable in itself. Together we try to solve our national problems. This is extremely positive and should be viewed as a blessing of the Islamic revolution." 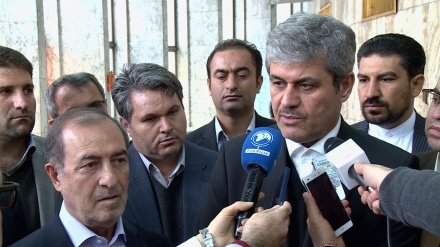 Another Iranian MP, Asghar Salimi, representing the town of Semirom in Isfahan province in the Majlis, also commented on the same issue by saying: "American politicians should ask themselves whether America's goals in the Middle East have been achieved or not ?"